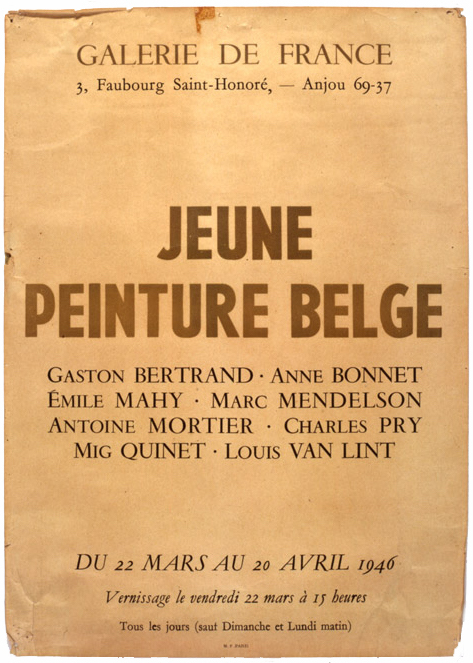 La Jeune Peinture Belge was founded in 1945 by Robert Delevoy and René Lust in support of a new generation of artists. The movement of La Jeune Peinture Belge played an important role in the post-war art history and in the revaluation of abstraction. James Ensor as honorary chairman, some progressive key figures and art collectors created a stimulating framework for thirteen young artists. They made a series of international exhibitions and managed to give attention to give to artists with very diverse visual languages. Soon the movement became a springboard for many of them. It also laid the first seeds of a new abstraction. Later the second generation geometric abstracts emerged under the impulse of the groups Art Abstrait and Formes. 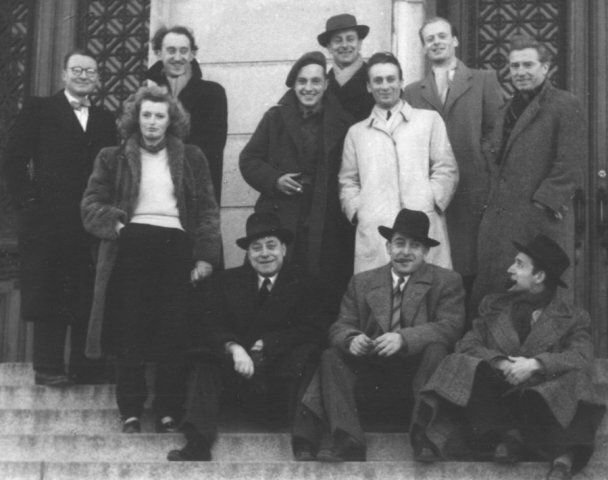 In 1948, the movement had to end because lender René Lust dies. In that short time, the movement made its mark on the postwar awakening of Belgian art.